Yangsi Kalu Rinpoche (Tib. ཀར་ལུ་ཡང་སྲིད་སྤྲུལ་སྐུ་, Wyl. kar lu yang srid sprul sku) (b. 17 September 1990) — the reincarnation of Kalu Rinpoche. 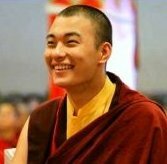 He was recognized by Tai Situ Rinpoche at Sonada in 1992 and formally enthroned as the holder of the Shangpa Kagyü and Dashang Kagyü lineages on 25 February 1993. 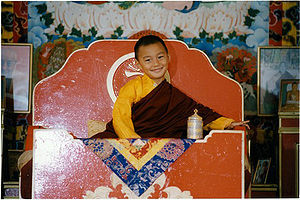 In September of 2008 Yangsi Kalu Rinpoche completed his first three-year retreat. This page was last edited on 20 January 2019, at 09:35.